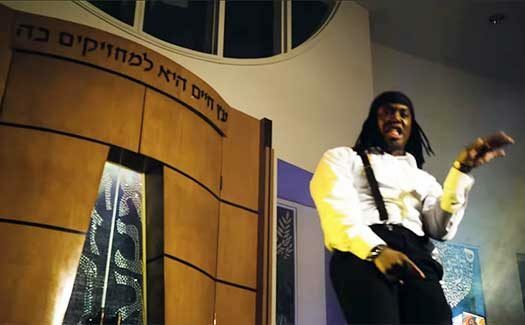 A music video by a rapper that was filmed inside the main sanctuary and social hall of Chabad of Atlanta’s Congregation Beth Tefillah is causing uproar among members the community, who were shocked by the desecration of their Shul. The music video, titled ‘Hava Tequila’, a riff on the well-known song ‘Hava Nagillah’, was performed rapper by Andre Xcellence! and features untzinues imagery inside the Shul along with heavy alcohol consumption and mixed dancing. Also seen throughout the video is the Aron Kodesh in the background as the rapper performs. Also seen in the video are members of the community in the crowd. 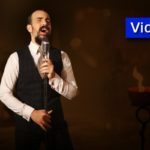 Israeli new site Chareidim10 reported that a person involved in the video production said the filming took place in both the main sanctuary as well as the adjacent social hall, which is used for Kiddushim and events. Community members took to social media and condemned this type of use of the space, “how far are we willing to push the boundaries of what is acceptable?” wrote one person. CrownHeights.info reached out to representatives of Chabad of Atlanta and at time of publication we have yet to heard back. We will update this story if and once we do.